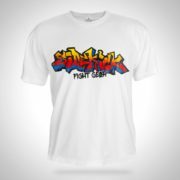 Want urban style? 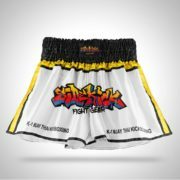 Then these Graffiti boxing gloves will give you the best street cred in the club! 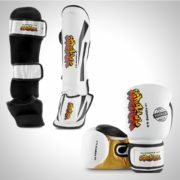 These hand crafted boxing gloves are made from a skintex leather, a high grade of synthetic leather. A hand mold with a velcro wrist strap that will support your hands when giving those hook and jabs. Your hands will always feel comfortable and secure. A grip bar on the fingertips feels comfortable when you clench your fist to give you a more natural shape. 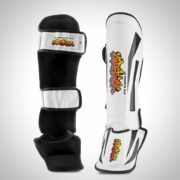 Suitable for stand up striking including boxing, kickboxing and Thaiboxing.